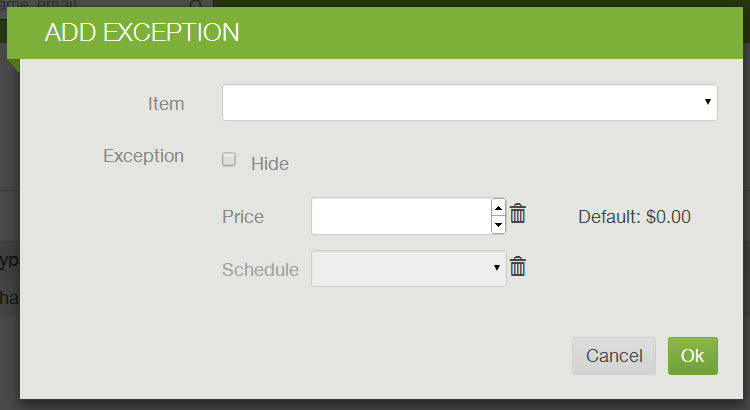 You can adjust Subscription Exceptions and Item Exceptions in the Logistics panel of the Farmigo Dashboard. 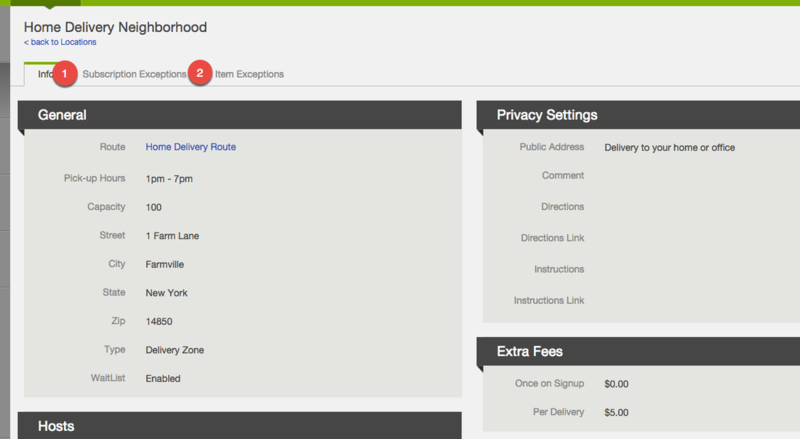 Go to Logistics --->All Routes ---> Then select the Delivery Route and Location you would like to edit. Click "Item Exceptions" to choose items you would like to exclude, change prices or schedules for or "Subscription Exceptions" for subscriptions (shares) you would like to exclude, change prices or schedules for. *SPECIAL NOTE* If you set up an exception and change the price of that subscription, the price will not be updated at the location where the exception is set up. 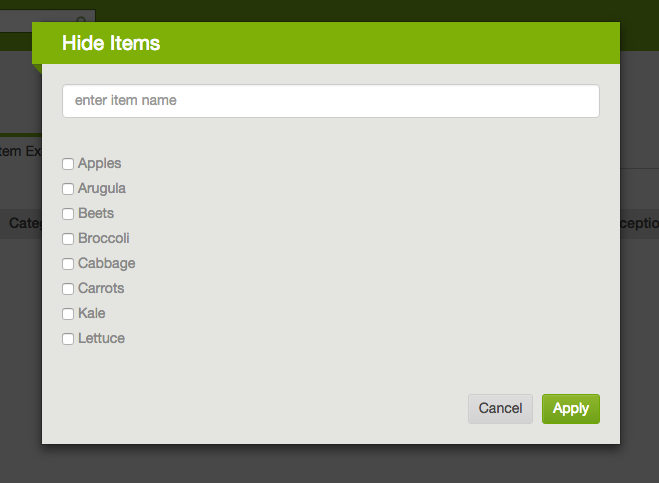 Use the search bar at the top of the dashboard to open the location you would like to set item exceptions for. Once on the location page, click on the Subscription exceptions tab. To add or edit an exception, click edit in the upper right hand corner. Hide item: To hide the item from the location, select the hide box. Change Price: To change the price for this item for the location from the default price, enter a price in the price field. Schedule Exception: If you would like this item to be delivered according to a different delivery schedule for this specific location, select the schedule from the drop-down. PLEASE NOTE: In order to set up a schedule exception for a subscription, only one can be assigned to that share as the default schedule. ​You can choose to hide items at certain sites if they are not available. To add an item exception, select the item exception tab, then click Edit. 1. Choose + Add Exception from the upper right-hand corner. 2. Select the items you would like to exclude from the location, then apply and save.